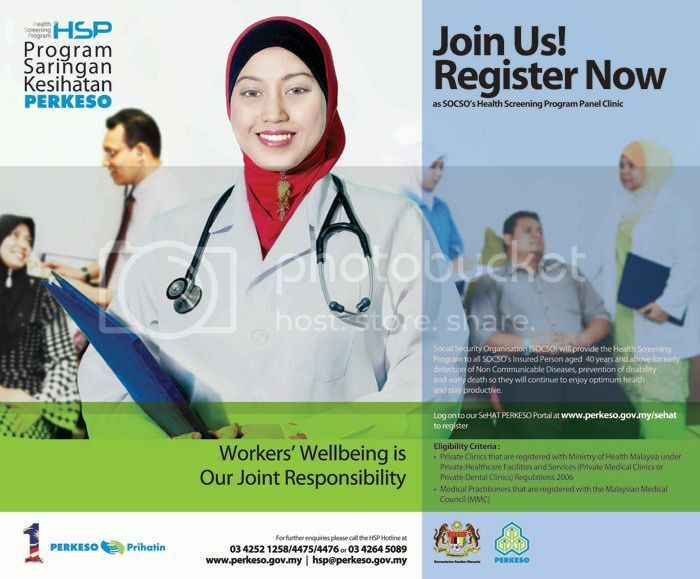 Only 18.6% or 372,000 of the two million vouchers for free health screenings have been redeemed by Social Security Organisation (Socso) contributors as of last month. Human Resources Deputy Minister Datuk Seri Ismail Abdul Muttalib urged Socso members who had yet to carry out the free health check not to delay as the voucher was valid only until the end of December. “Socso issued two million free health screening vouchers to its contributors since January last year but most Socso members had not utilised the free service,” he said. Ismail was speaking to reporters after a Hari Raya Haji sacrificial ceremony at a market site in Chenor here yesterday. He said based on that more than 320,000 screenings conducted, obesity was at 62%, high cholesterol (61%), high blood pressure (41%) and diabetes (16%). Ismail said of the 103,652 women workers who underwent pap smear tests, the result for 343 turned out “abnormal”. As for mammograms performed on 108,000 workers, a total of 707 were found to be at risk while 124 were in the high risk category. Ismail, who is Maran MP, said the Government was prepared to allocate RM200mil for free health screening at RM85 for men and RM215 for women. According to him, there are 3,185 clinics, 232 laboratories and 104 mammogram centres appointed under the screening panel nationwide. Socso’s Health Screening Programme is for workers aged 40 years and above to screen for non-communicable diseases, including cardiovascular diseases, diabetes and cancer, as these illnesses were found to be factors affecting the productivity of Malaysian workers. There are two types of vouchers for eligible workers; the standard screening, comprising a physical examination, consultation, blood test, urine test and pap smear. The second voucher is solely for mammogram screening.